With this uncertainty around the process for selecting companies, coupled with an opinion-based determination for IR35 status which leaves ambiguity for any contractor trying to ensure they are operating compliantly, and the potential for the upper-level contract to be used against them despite having no right to ever see it (which is commonplace), any contractor remains at risk of investigation for IR35. A more popular option is to take out a full policy which will not only cover an expert defending your case in any HMRC enquiry, but also the liabilities if you are subsequently found to be caught by IR35. Given that being found to be inside IR35 is likely to result in a demand running into the tens of thousands of pounds, it is obviously a risk that many contractors are keen to avoid. Comprehensive IR35 insurance policies can be provided with differing limits of indemnity to suit your liability risk (dependent on day rate and length of time contracting for example). Click here to book a free and in-depth IR35 calculation with Qdos Contractor’s experts. 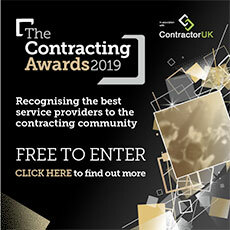 ContractorUK has partnered with Qdos Contractor (the author of this article), who can provide contractors with an appropriate IR35 insurance policy with an exclusive 10% discount for ContractorUK readers (see below). Qdos are well established contractor specialists; they have defended over 1,500 cases and saved contractors over £35million in tax. Click here to view their website and buy online.